Sam Fantel Jr., President of Midcontinent Broadcasting files application for KELO-TV requesting the use of Channel 11. Applications were frozen by the FCC during this time to work out technical issues. Joe L. Floyd and partners Eddie Ruben and Larry Bentson purchase Midcontinent Company, operator of KELO radio. November 19, 1952 - Application Approved! The Federal Communications Commission grants the application for Midcontinent Communications to build KELO-TV on Channel 11. This photo is from an ad announcing KELO-TV and was run at movie theatres. Just a year after Joe L. Floyd and his partners purchased KELO radio and a construction permit for a television station, KELO-TV Channel 11 signed on the air. It was South Dakota's first television station. Until this date, all programming on KELO-TV was on film. 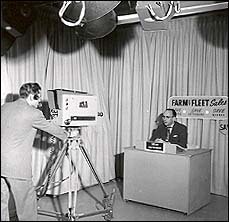 Network shows, syndicated shows and local news and public affairs programs all were on film. 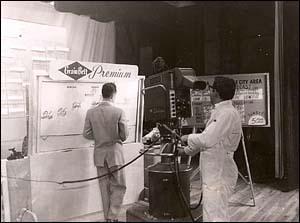 The only live broadcasts were off-air pickups, a technique of re-broadcasting another station's signal. 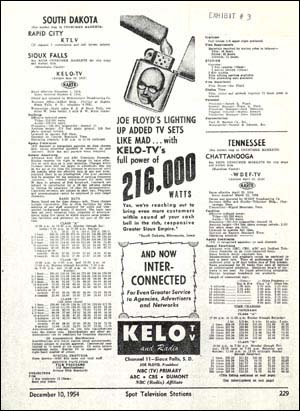 Interconnection meant KELO-TV could finally broadcast network shows and sporting events live. Viewers didn't have to wait two weeks to see what the rest of the country was seeing live. Today, satellite technology gives all of KELOLAND live broadcasts from anywhere in the world. Live television came to KELOLAND when the first live cameras were installed in the 2nd floor of the Hollywood Theater building. The news, weather and sports were now live and so were many of the commercials. Film would still be used for many years, but the TV cameras ushered in the beginning of a long history of live television in KELOLAND. KELOLAND TV continues to be the leader in live coverage of today's most important events. March 7, 1955 - Welcome Captain 11! No one knew that a summer replacement kid's show would become the longest continuously running children's show in the world. Dave Dedrick patterned Captain 11 after a show of the same name in Minneapolis. That show was hosted by a young Jim Lange. With a new uniform and a set made from pinball machine parts, Dedrick transformed Captain 11 into the most recognizable face in KELOLAND. 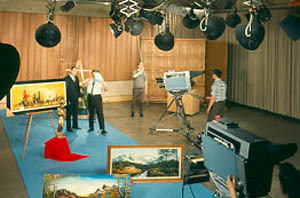 Each day children would flock to the KELOLAND studios to be on the Captain 11 show. Later mothers and grandmothers would bring their kids to the show. Always drawing a crowd, Captain 11 made thousands of appearances across KELOLAND. Today, Captain 11's set and uniform are on display at the Cultural Heritage Center in Pierre. The testament to the impact Captain 11 had on the history of our state and our lives. 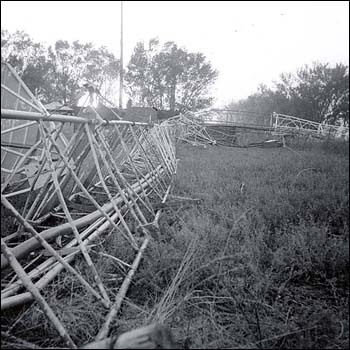 The first of many tower disasters struck KELOLAND when KELO's first tower collapsed during a possible tornado. The 575-foot tower fell in heap of twisted metal. Engineers worked feverishly to get a temporary tower up in time for the World Series. They succeeded and KELO was back on the air in 48 hours. It was the first of many heroic efforts by KELO staffers to keep viewers in touch with the world. How do you make a small market station bigger? 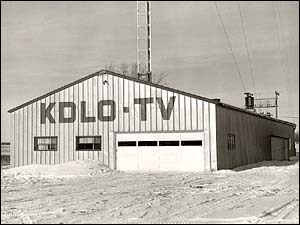 KELO-TV took the first step by adding KDLO-TV at a site strategically located between Watertown, Aberdeen and Huron. With the tower located by Florence and a studio building in Garden City, KDLO was originally dubbed a "semi-satellite" because local news and programming could originate from its studio. KELOLAND TV's commitment to local news continues with live reporters from our office in Aberdeen. In order to increase our coverage area, KELO-TV built a new 1,032-foot tower nearly doubling the height of the old tower. At the time, the tower was the tallest structure in South Dakota. This tower was constructed next to the original tower near Shindler, SD. Now even more viewers could enjoy television. Our current Sioux Falls tower is located near Rowena, SD and serves viewers in 75 mile radius. 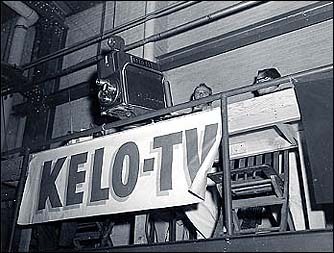 KELO-TV, the first station on the air, now provided the first ever live telecast of a basketball game in South Dakota. KELO broadcast a game between Sioux Falls Cathedral and Marty Mission. KELOLAND TV has a long history of broadcasting KELOLAND's most important sporting events including KELOLAND TV's unprecedented coverage of the state basketball tournaments. When viewers in central South Dakota wanted television KELO-TV stepped in with a plan to bring TV to their homes. 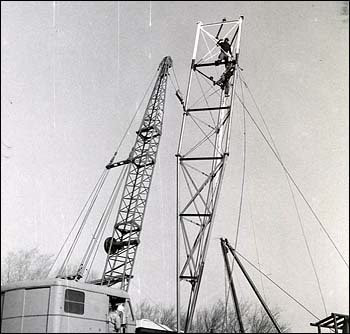 Buying a tower and transmitter, however, was an expensive proposition for such a sparsely populated area. KELO offered to provide half the cost, if area residents could raise the other half. The money was raised and KPLO-TV was born. 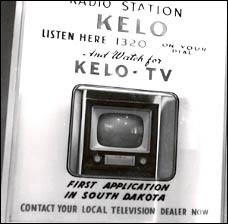 KELO-TV eventually assumed full ownership of the station. Today the tower high atop Medicine Butte is a monument to the perseverance of the people who live in KELOLAND. After telecasting the first live basketball game in the state, KELO staffers took on a new challenge, a football game between Augustana and Morningside. Again, it was a first for a station that purchased live cameras just two years earlier. In 1957 it was a great achievement just to get a picture from a remote location. KELOLAND TV now uses 8 cameras, digital video effects, replay machines, satellite technology and extensive graphics to produce network-quality telecasts of football games. In six short years, KEL-O-LAND TV had outgrown its Hollywood Theater location. New offices and studios at 13th and Phillips opened with much fanfare. A private grand opening reception for clients and dignitaries was held on May 22. The building still serves as the headquarters of KELOLAND TV. Although the building looks much the same on the outside, renovations inside are ongoing to keep KELOLAND TV on the cutting edge of television technology.